About | Mary Alice's Dance Studio - Celebrating 5o Years! Mary Alice's has been providing excellent dance training for 48 years. Our goal is to bring you the best dance education possible in a nurturing and positive environment! There will be wonderful memories, lasting friendships and great work habits developed, all through the art of dance. We invite you to explore our website and find out why Mary Alice's Dance Studio is the right place for you and your child. At Mary Alice's Dance Studio, we have a well developed Competition Program that begins at age 6 and continues through senior year. As your dancer progresses through the program, they will train at a more intense level and have the opportunity to compete and succeed at an advanced level at Regional and National Competitions and Conventions. Our team has not only produced many professional dancers, teachers and choreographers but just as many succesful people in the business, medical and professional world! Dedication, perseverence and teamwork are all the qualities needed to be a success in any career you pursue. Our company not only helps you become the best dancer you can be, but we encourage your child to set goals, be a team player, and be their own personal best, all while developing a passion for the art form. See why training as a MADS Competition Dancer makes all the difference! 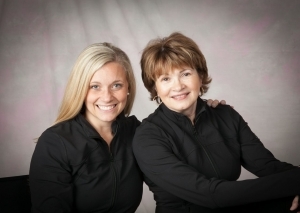 Mary Alice's Dance Studio has been a proud member of the Orchard Park Community since 1969. The studio that began in the basement of Nativity School has grown into a thriving dance facility, now located right in the village of Orchard Park. Throughout the years, thousands of dancers have graced the stage at the annual MADS recital. Mary Alice, her mom Alice, and sister Maureen all had a dream that Orchard Park could host a dance studio and train dancers of all ages and interests. The studio started it's first year with approximately 30 dancers. As the number of students increased, so did the need for a bigger and better facility. The first move was to a small plaza in town and then to the existing location at 3815 N Buffalo Road. As you can tell by the fireplace in the main studio, it was once a home. We try very hard to keep that personal feel apparent to all of our families. The third studio was added out the back in 1990. As the business was growing, so was our need to expand our already well trained and knowledgable faculty. Our teachers are all experienced in every style and form of dance. We have 9 faculty members all dedicated to teaching what they love best and a full time office staff everyday of the week. We have seamstresses, prop people and a wonderful group of parents that are very supportive of their children and our annual events. We truly are a family oriented studio that believes in being very involved with the community. Our entire faculty and staff devote so much of their time every fall to making Dancers Give Back a success. It is extremely close to our hearts and we hope yours too. Christmas is another great time at MADS. We love entertaining at local community events and at area nursing homes and senior centers. Our students have gone on to hold prestigious careers in the areas of law, medicine, business and education, just to name a few. We are very proud of the dancers we have trained that are now performing professionally with tap companies, teaching at national conventions, judging for competitions, staging shows at Disney, performing on cruise ships, teaching at colleges, performing as a Radio City Rockette, and choreographing all over the country. Whether you are looking for a career in dance or just want to enjoy the comraderie and friendships that grow from being part of a team, Mary Alice's is the place for you!